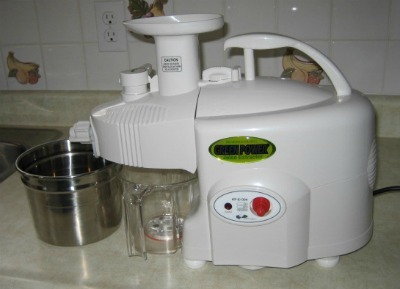 The Green Power Juicer for many seeking health solutions or disease prevention. The green power juicer (also known as the Hippocrates) is truly unique, the magnets and twin gears have made this unit an award winner in four countries. After using and wearing out my old centrifuge unit I realized how important juicing had become for my health and my weight and since our old unit was finished it was time for an upgrade. After careful consideration it was this twin gear model that was the one for us and it’s proven itself downright amazing. Here is my Green Power KPE-1304 (Hippocrates). So what makes The Green Power Juicer so Unique? One of the best things about this juicer is you can juice wheat grass, leafy greens, herbs and all greens that where next near impossible to juice with older style units. This machine can juice practically every vegetable imaginable with ease. It uses far infrared waves and powerful magnetic fields that make this unit so amazing that it has been recognized for its outstanding qualities and has won awards in The United States, Korea, Germany and Switzerland. The magnetic fields help separate pesticides away from the juice making it healthier to drink. This is very important for some people may not have access to organic produce. It is also fantastic for disease prevention or when trying to cure a pre-existing medical issue. The magnetic cup holder helps separate pesticides from the juice. This unit helps ionize the juice which helps keep enzymes intact. Enzymes are especially important for digestion, without them the human body cannot digest food properly. Many medical professionals (even Hippocrates) say that all disease starts in the gut due to poor digestion. Also with this ionization is that the juice is so fresh that it does not oxidize as fast. 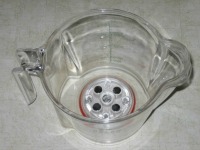 This means that the juice can stay fresh for up to 72 hours (air tight containers work the best). This means for the first time you can take a glass of juice to the workplace for that pick me up. Since the juice can stay fresher longer you can make a bigger batch to last a couple of days, what a great time saver. This is a big plus as some of the other juicers recommend drinking the juice immediately after it’s been made. Laboratory tests show this juice contains higher levels of minerals (about 50 – 200 % higher) than other juices. That is huge when it comes to essential minerals such as calcium, zinc and iron. No wonder many think that this is truly the best juicer. All this leads to a fresher, lighter more pleasant tasting juice. 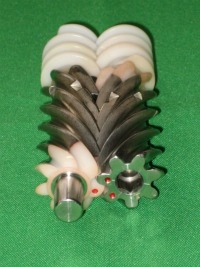 The magnetized twin gears are strong and durable. Many benefits of this machine have to do with those durable triturating twin gears in the above picture. Triturating means to grind, pound, rub, and crush produce into pulp. As it does this the fresh fruits and vegetables release their juices with all their healthy nutrients, minerals and enzymes that our bodies need. This juicer is made to operate at a very low r.p.m. or slower grinding speed which is very beneficial in getting out more juice from your produce. 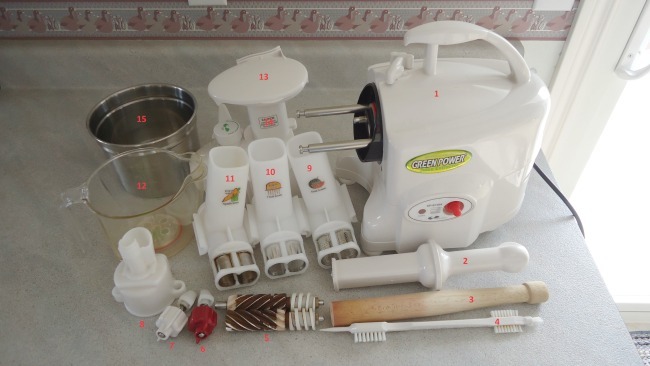 You get much more juice with the twin gear system than with many other types of juicers. More juice means more savings. 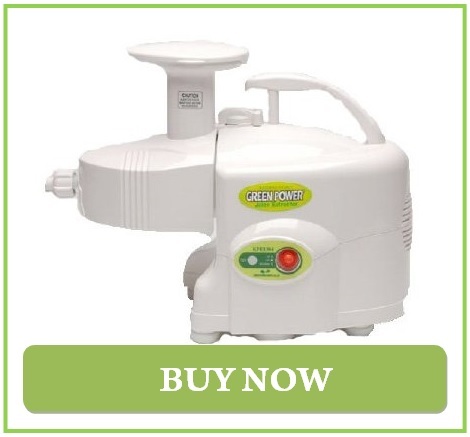 What Comes With The Green Power Juicer KP-E1304 (Hippocrates)? The Green Power Juicer KP-E1304 comes with extra parts so that you get the most out of your juicing. 1. The main job of this unit is to extract juice and I myself personally use it for that main purpose. It works great as it juices practically all produce such as vegetables, fruit (soft to hard), leafy greens such as wheatgrass, parsley and other herbs. Decide today if you want to live a Healthier Lifestyle. This small kitchen appliance can make great changes for you and your family and can become part of your daily life. It is a great way to prevent disease or help rid the body of pre-existing and unwanted medical conditions that you may already be suffering from. Enjoying fresh juices is a great way to keep the digestive system working well, also helps detoxify the body regularly and helps prevent many diseases such as cancer. This Juicer is my number one pick.